Unique Bargains 2pcs 1/8PT Threaded Connected Grease 10000 PSI Extension Hose 16"
With 10mm diameter male fitting on each end. 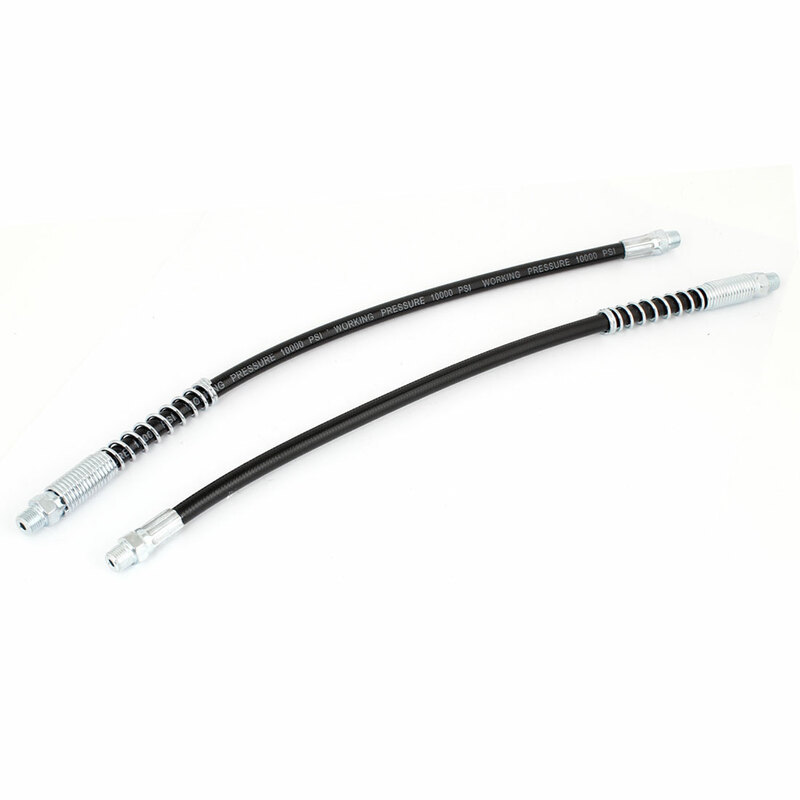 Used with hand operated grease to reach into confined working areas in vehicles, farm equipment and machinery, etc. Also can be combined with multiple hoses for an extra-long reach. Unique Bargains 2pcs 1/8PT Threaded Connected Grease Gun 10000 PSI Extension Hose 16"